Time to get pumped up for pumpkin! Have you done any holiday baking yet this season? If so, you’ve probably noticed that almost every pumpkin recipe calls for just 1/2 c. of pumpkin. What do you do with the leftover pumpkin sitting in the can? Whatever you do – no need to throw it out! Store it in a seal-tight container and you are well on your way to an extra special breakfast, any day of the week. A quick and easy week day recipe is my Pumpkin Spice Oatmeal. 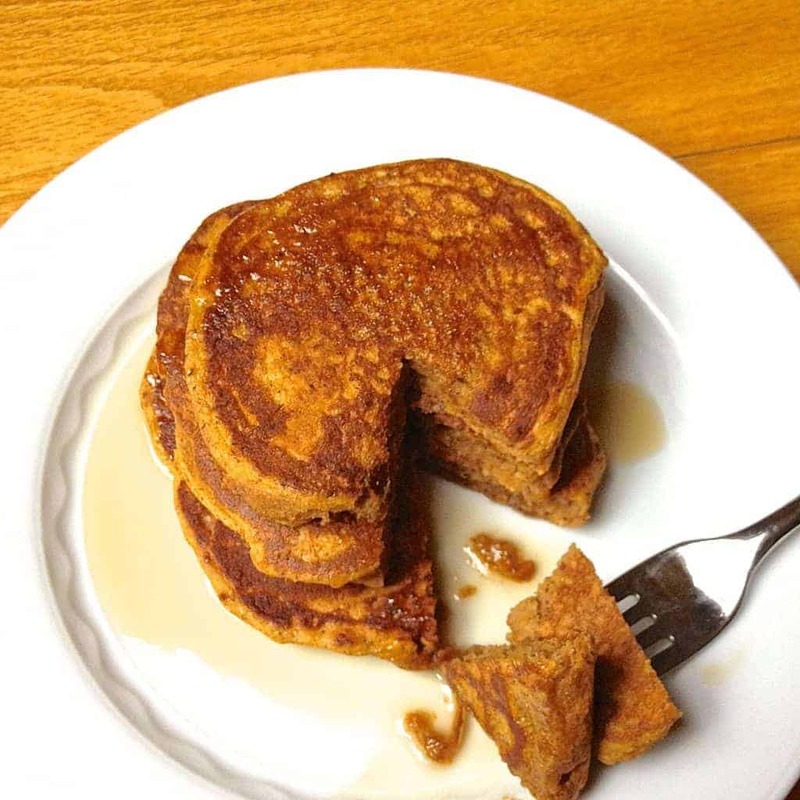 On a lazy weekend morning, however, I love to make a big batch of Whole Wheat Pumpkin Pancakes. 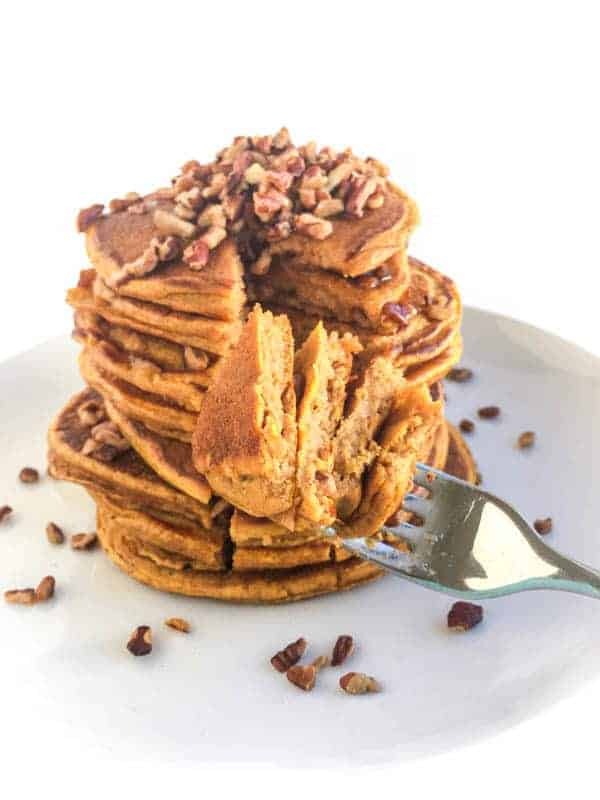 As you look over my Whole Wheat Pumpkin Pancake recipe there is one thing you might notice: zero oil or butter is required. 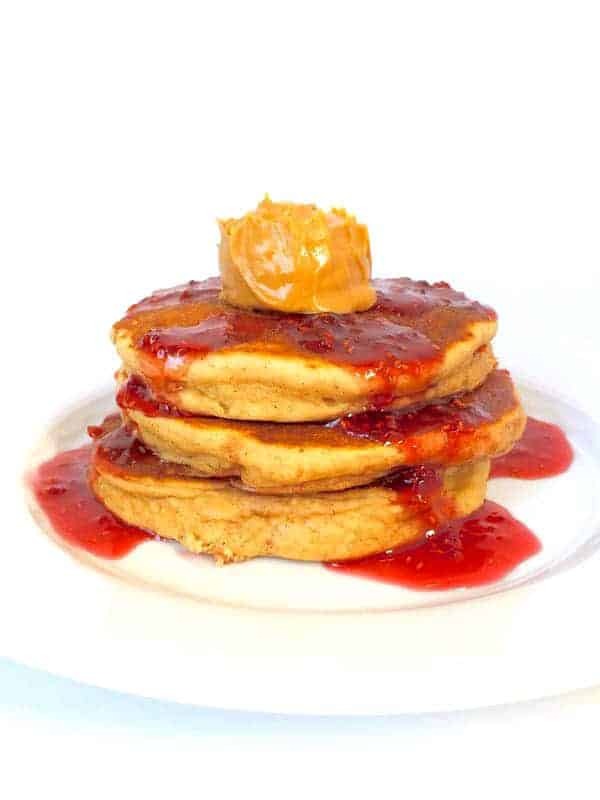 Instead, these little cakes are kept moist and fluffy with the addition of pure pumpkin and plain yogurt. So, instead of adding calories with pure fat, you are adding in nutritious calories full of vitamins, protein and fiber. After all, shouldn’t we make our calories work for us and not the other way around? 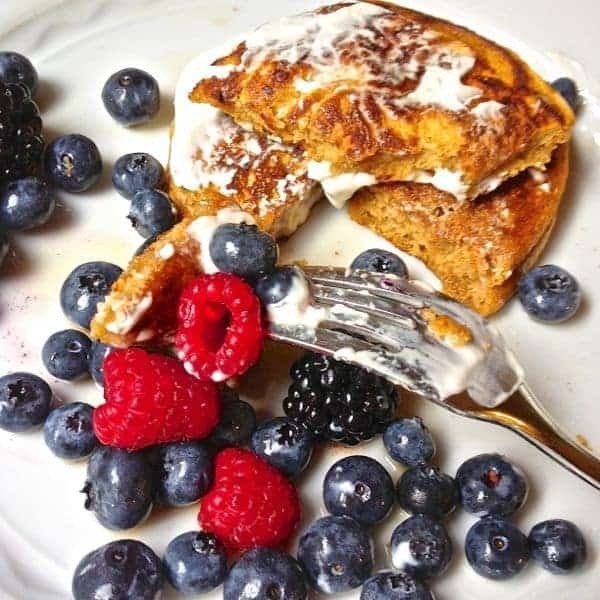 Whole wheat pumpkin pancakes are made moist and fluffy thanks to pure pumpkin and plain yogurt. Heat griddle or large frying pan to medium. Spray with non-fat cooking spray and pour batter, about 1/3 c at a time. Heat 2-3 minutes per side. It is important to keep pan at medium or lower to allow time for the thick batter to cook thoroughly without burning the outsides. Excellent source of Vitamin A, good source iron and calcium. If batter is a bit thick, go ahead and add more milk or water until you reach desired consistency. Hi there. Great recipe but I would like to comment on something you said in the paragraph that the extra calories from oil are somehow bad. Using something like olive oil or even coconut oil are extremely healthy. You need healthy fats. And there is plenty of research now to show that higher healthy fat diets are much better than a high carb diet. 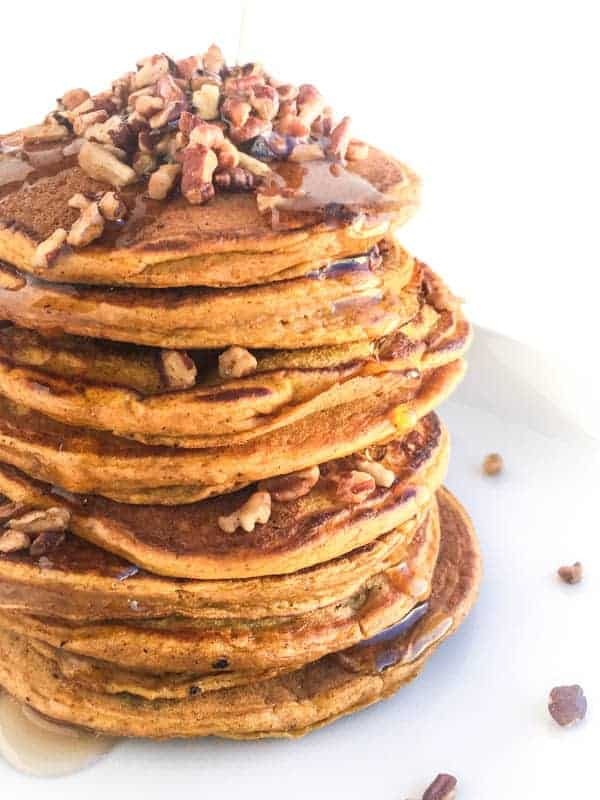 So it’s a bit contradictory when you say that added oil in this recipe would somehow be negative for you, especially when you have flour in it (even whole wheat) and then most likely add some type of sweetener like syrup which is far more unhealthy than the calories you would get from olive oil or some similar healthy oil.